American composer Terry Riley’s “In C” (1964) is widely considered one of the first and most important minimalist compositions. 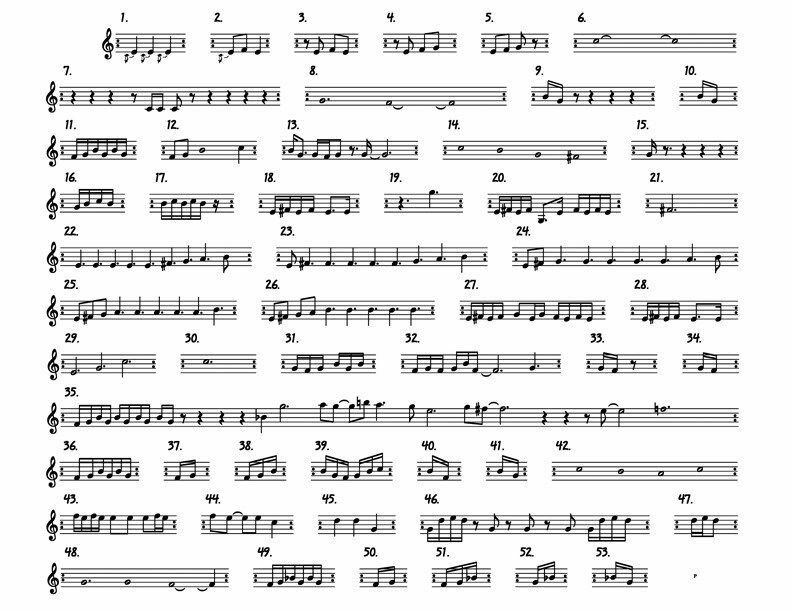 The piece, scored for an ensemble of unspecified instruments and size, consists of 53 short melodic phrases that musicians play and repeat as many times as they wish before moving onto the next. When all the musicians have moved through each of the 53 phrases, the piece is finished. One key aspect of the music is its sense of tonality and its steady pulse provided by a repeating high C note that anchors the music like a timeline bell pattern. The first video, though thoughtful and succinct, doesn’t really show the Ableton software up close. In a second, behind-the scenes video, we see a bit more of the software and how it integrates with Weber’s set up. But still, we could see more. 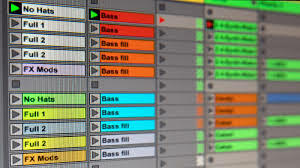 If the camera zoomed a close up on Ableton’s audio and MIDI clips, stacked vertically as little blocks of sound in the Session View page, we might notice their similarities to the short melodic sequences in Riley’s piece from fifty years ago. This may be the true musical prescience of those early minimalist works by Riley, Steve Reich, and Philip Glass (not to mention, let’s not forget, their world music inspirations from Africa, Indonesia, India): that they foresaw a music based on short melodic cells that could be looped and repeated to make grand designs.